Window Kit 150mm is rated 3.5 out of 5 by 2. Rated 5 out of 5 by Dunc38 from will fit many 150mm fans Bought fan from Plumb world who were unable to supply window fixing fit bought the kit just to try and it fitted a treat. Rated 2 out of 5 by CJS1 from Draughty window kit. I definitely slipped up with this. I bought it to go with a 6" extraction fan for the kitchen window. 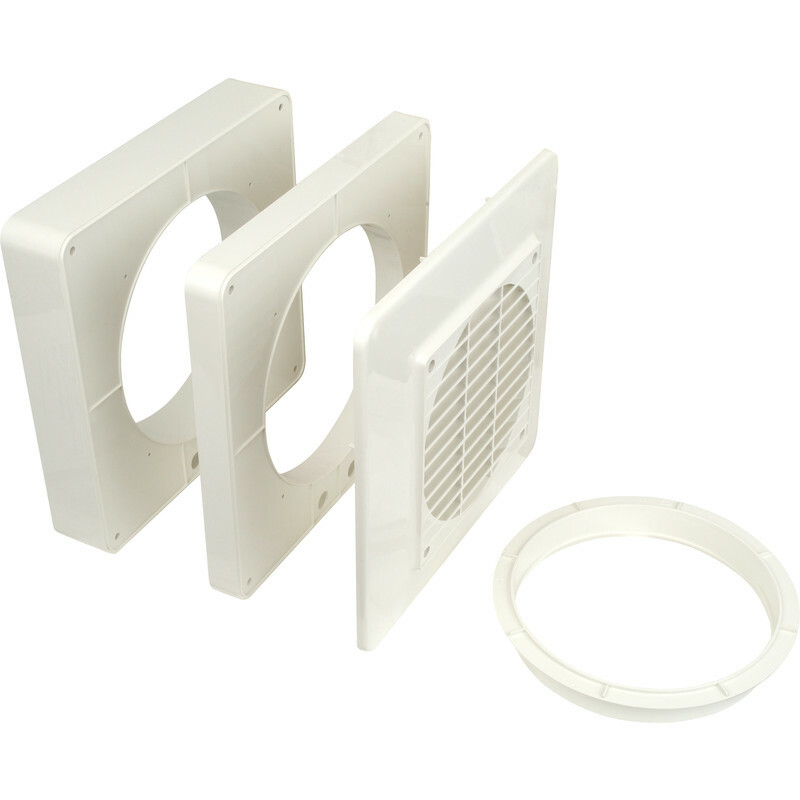 It is easy to install with the fan but the main problem is the lack of gravity flaps on the outlet grill. When the fan is running, its fine. However when its not, which is most of the time, and dependent on the prevailing wind, there is a cold draught of very cold air coming straight in from outside. I have had to make a cover for the outside to prevent cold air from coming in, it makes the fan run backwards which probably exacerbates the situation. Apart from that it is fine. It will probably be ok in spring and summer but in winter, its too cold.